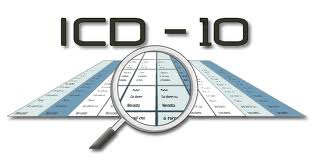 How is your homecare agency preparing for ICD-10? This may go down as the understatement of the year, but its official: Home health agencies are far behind the timeline suggested by CMS and consultants for ICD-10 implementation. Home health agencies seem confused about how to prepare financially and lack urgency, despite a rapidly dwindling calendar, according to a major nationwide survey conducted by DecisionHealth and the National Association of Home Care & Hospice. Survey respondents, which were all home health agencies, appear to underestimate both the scope of the transition and the severity of the impact to cash flow in 2014, the studys authors observed. The last bullet point suggests that many agencies may be overly confident and dont fully understand whats needed to actually be ready, the studys authors write. The full results will be presented at the ICD-10 Implementation Strategies for Home Health conference, June 6-7, in Chicago. Attendees who register for this conference will immediately receive a 21-page PDF copy of the study, including charts, analysis, and the complete findings. Those interested in the conference may register now and use the code C1377WP to receive a copy of the National Home Health ICD-10 Readiness Study. Conference details: The ICD-10 Implementation Strategies for Home Health conference is the only training event designed with the needs and resources of home health agencies in mind. It will help agency executives and administrators develop a financial and operational road map for ICD-10 to ease the transition and avoid penalties. Detailed sessions on operational best practices will ensure attendees leave with cash flow backup plans, a transition plan, and detailed tactics to adapt daily workflow to a post-ICD-10 world.